It is never too early to start on your Halloween projects for your ghosts and goblins. This is a great Halloween fabric. 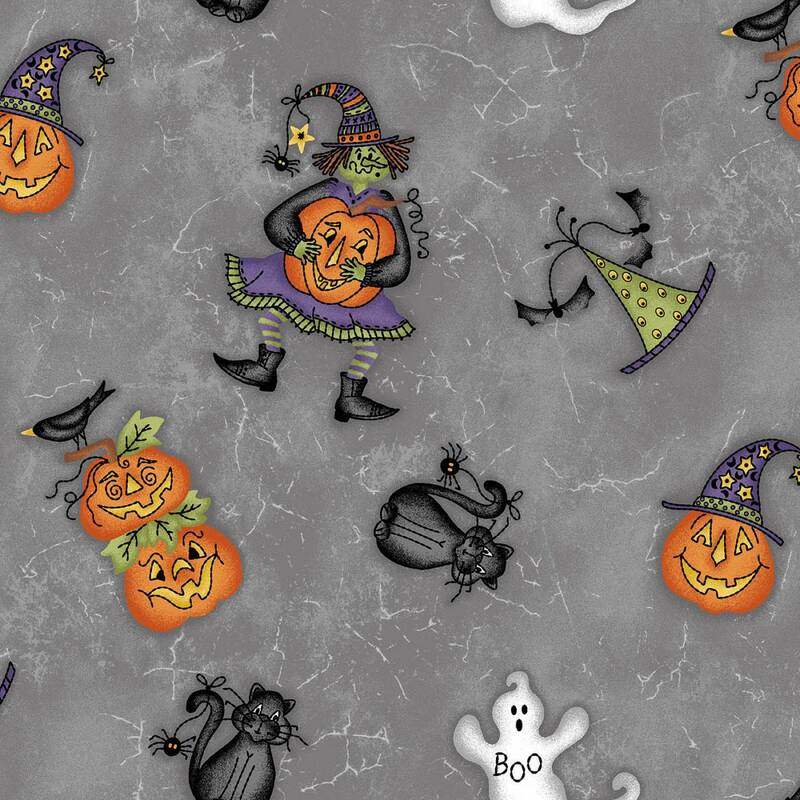 A wonderful gray background with white cobwebs which lets the funny pumpkins, witches, black cats and ghosts bounce across this 100 percent cotton fabric by Maywood Studios. All fabric from The Quilted Nursery Fabric Store is cut directly from the bolt in continuous yardage. We now offer fractional yardage cuts for your shopping convenience. All fabric is shipping in 24 hours except for Sunday and holidays. All shipping overages are refunded on shipment of fabric!